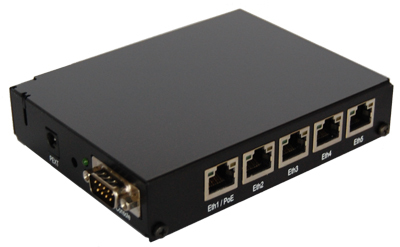 Mikrotik RBSXT-5nDr2 (US and Canada) "Lite5" is a low cost, high speed 5GHz wireless device. Dual polarization 802.11n and Nv2 TDMA technology help to achieve even 200Mbit real throughput speed. Mikrotik RBDiscG-5acD-US (for US and Canada) DISC Lite5 ac is a super high speed 5GHz wireless device. Dual polarization 802.11ac and Nv2 TDMA technology help to achieve 540Mbit real throughput speed. New! Mikrotik RouterBoard hEX S RB760iGS 5 port 10/100/1000 switch and/or router with an SFP port and a PoE output port in a molded plastic case with power supply - New!